5 EASY Techie Ideas for Digital Citizenship Activities | The Techie Teacher® . 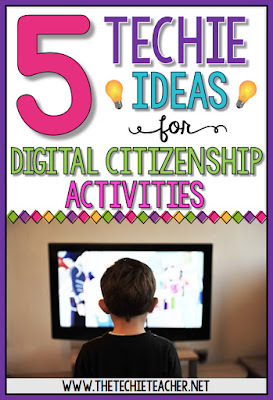 It is October and that means Common Sense Media is sponsoring Digital Citizenship Week--- October 16th-22nd. 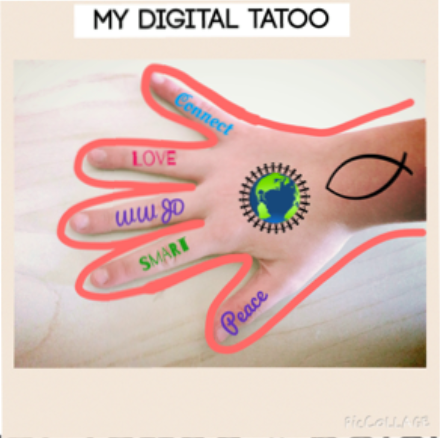 Every school district has their own way of teaching digital citizenship (or maybe not?) and it is really one of the most important things we can do as educators in today's digital world. 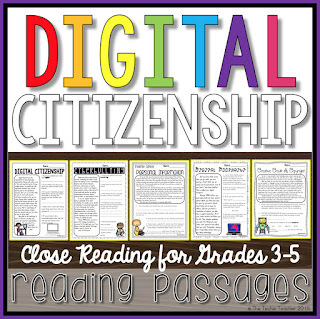 If you are a classroom teacher, librarian, technology teacher or anyone else that might have the responsibility of teaching digital citizenship without a curriculum, then I highly suggest looking into Common Sense Media's resources. They provide low-prep lessons in three different formats: downloadable PDFs, Nearpods and iBooks Textbooks as well as a comprehensive curriculum. 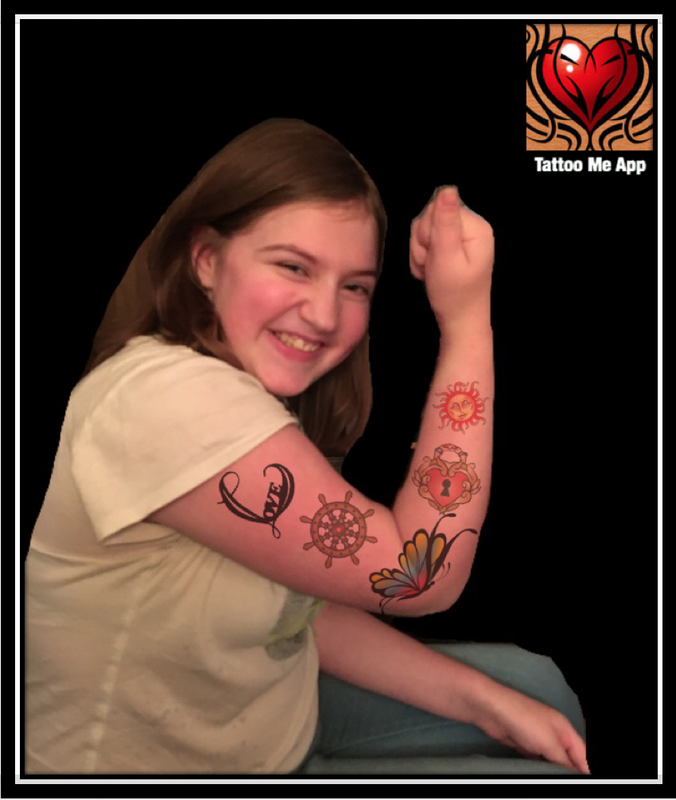 The other day I stumbled upon Southfield Christian School's Digital Tattoo lesson that can be downloaded HERE. They used PicCollage to create a digital tattoo poster that contained words of wisdom when it comes to using technology. "Everything you do online is permanent, just like a tattoo." How cute did this turn out? 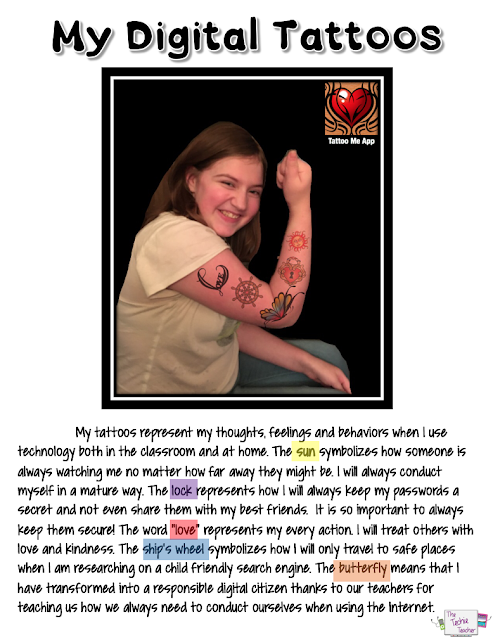 My words read "Kind Words Always"
You could also pull a photo into a PowerPoint Slide or Google Slide and add text & images overlays. 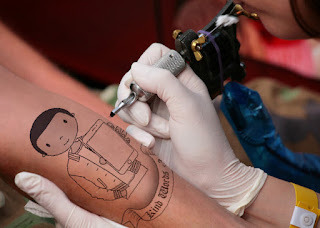 The idea that everything you do on the internet is permanent, just like a tattoo, is truly meaningful! This website also works on iPads! In order to save your image the website asks for you to create an account. However, a work around for this is to have your students simply take a screenshot before closing out. 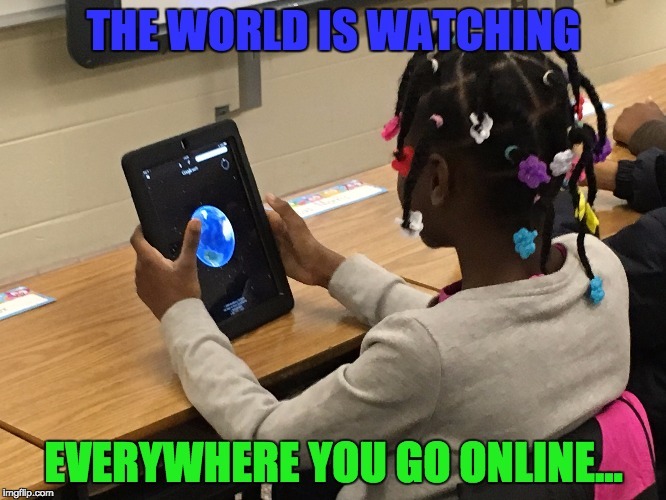 Do you have access to iPads? 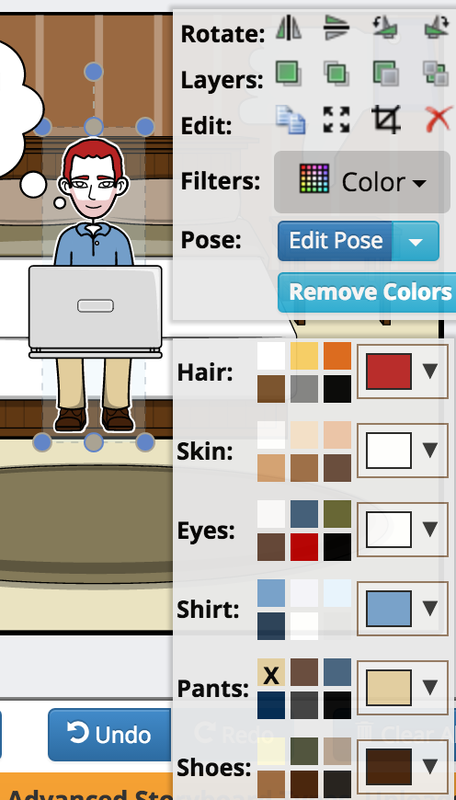 Then check out Technology Integration's post about making comics on the iPad by clicking HERE. Tons of great ideas over there! 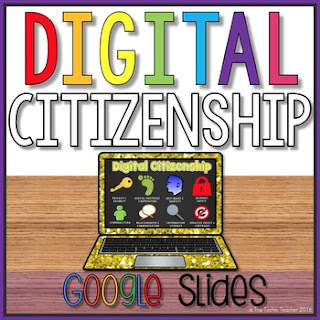 If you are gaagaa over Google, then you might be interested in my Digital Citizenship in Google Slides student project that is available in my TpT Store. 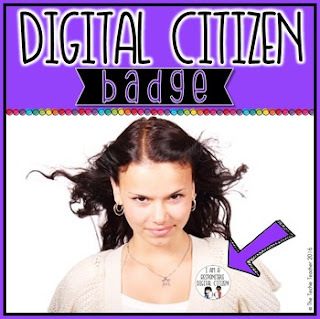 to give to your students once they have completed your digital citizenship "course". 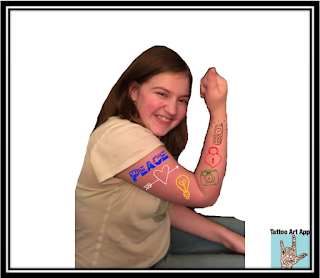 Today's children NEED to be exposed to the good, the bad and the ugly that revolves around digital citizenship so they are prepared to act accordingly when they run into trouble that is lurking within the cyber world. 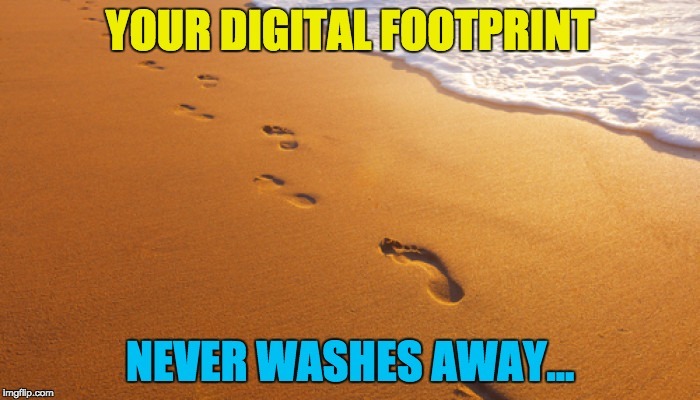 Have fun molding your students into exemplary digital citizens (well...that's our goal, right??). 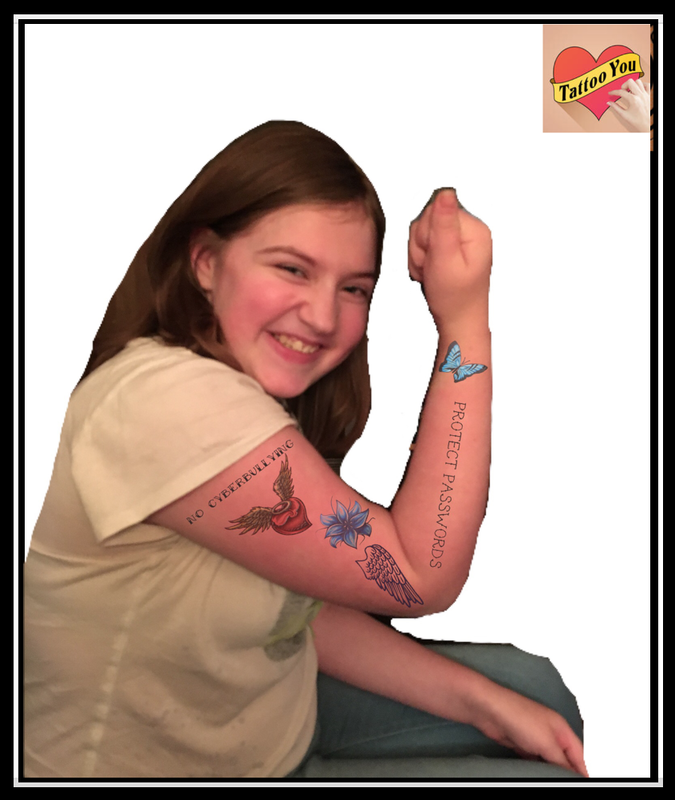 Heather Marrs who blogged on ISTE's website said it best: "Don't just teach digital citizenship, EMBED it!" Hi, great information. Love the meme idea! 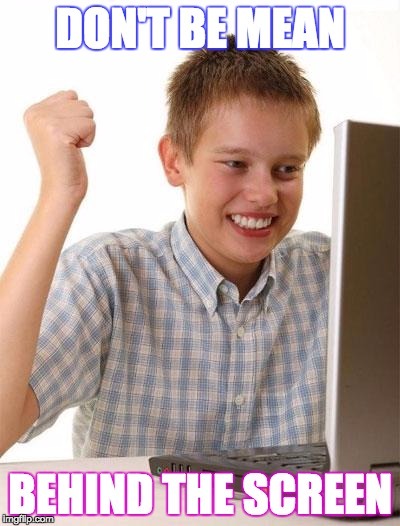 Do you happen to know of a meme generator that is kid friendly? I would not be able to share that link at my school. I haven't been able to usecrafty text. ANy idea why? Loved your meme idea. My friends also love to make memes of others. Would love to tell them to make memes of themselves. Thanks for stopping by, Sabbir!